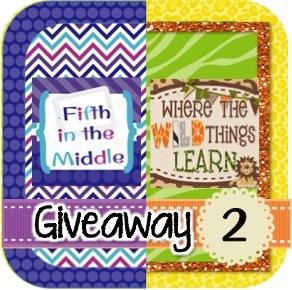 Pinkadots Elementary : I'm back and taking part in an AWESOME giveaway/blog hop! 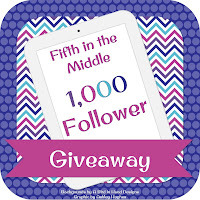 I'm back and taking part in an AWESOME giveaway/blog hop! I'm back!!!! Sort of... That's TWO posts in two days! Maybe I can make this a routine. lol. It has been insanely hectic around here trying to get back in the swing of things! School started for me (and my husband), my daughter started Pre-K, and daycare has been exhausting my 1.5 year old son (not that I am complaining). Seriously we (my husband and I teach in the same district so commute the 40min drive together) get home from work at 5, I make dinner, we eat, give baths, put kids to bed, then I work on the computer until bedtime. If my kids aren't in bed by 7PM, our 5AM wake up is horrible and everyone is grumpy. I'm looking forward to relaxing and actually seeing my family this weekend. This week has been tough. I wore an adorable dress and new wedges to school on Wednesday, for the first day. When I got to the end of the long hallway and stepping into my classroom, my shoe BROKE. Seriously, like right in half and I almost broke my ankle. Thank goodness my amazing friend/reading specialist walked in to bring me a "back to school present" (I know, isn't she the best!?) and caught me having a nervous break down glue gunning my shoe together. She grabbed her spare pair of sandals, that happened to be my size and saved the day! Thursday my camera broke and I didn't realize it until I took pictures of my daughter going to Pre-K for the first time. I seriously was like mammarotzi with the photographs AND NOT ONE OF THEM CAME OUT! They were all WAY over exposed. :( Luckily, daycare took pictures of her getting on the bus and I was there to take pictures of her getting off the bus. We have a new principal and a new schedule this year. We are actually going to have a WIN period. It is a intervention/enrichment block where we can work on projects! I'm so excited! If you are still reading, I promise it will get better. So I am linking up with the cuties over at Collaboration Cuties. If you haven't heard of them by now, you really need to check them out. Not only did one of them just make Teacher of the Year for 2013, but they are so inspiring and CREATIVE! 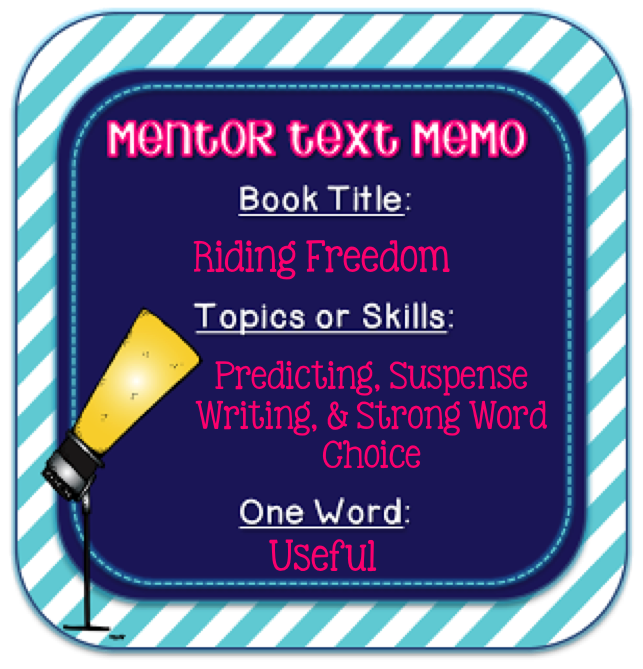 This linky is an amazing resource that keeps track of different texts for teachers to use as mentor texts. I am going to tell you about one of my favorite texts to read in 4th grade. Instead of a picture book, it is a chapter book, Riding Freedom, by Pam Munoz Ryan. In this fast-paced, courageous, and inspiring story, readers adventure with Charlotte Parkhurst as she first finds work as a stable hand, becomes a famous stage-coach driver (performing brave feats and outwitting bandits), and ultimately settles out west on the farm she'd dreamed of having since childhood. It wasn't until after her death that anyone discovered she was a woman. #1. Most importantly is it is always something new for my students. I haven't had one 4th grader who has already read it! #2. It is based on a true story and is an entertaining mix of fiction and nonfiction and can easily be related to our Social Studies curriculum! #3. The vocabulary, voice, and description are all phenomenal THROUGHOUT the book. #4. It is totally unpredictable. My 4th graders don't want to put it down because each page is full of suspense. #5. We created a TON of activities and CCSS related questions for this novel. It is a great text for guided reading groups or even whole class. We love teaching how to use text evidence in written responses while using our questions for this text. 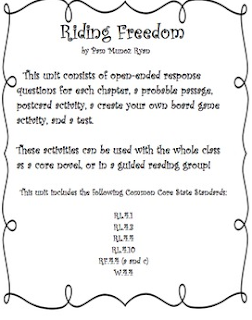 Check out our complete literary unit for Riding Freedom in our TPT store! For the last part of this wicked long post, I MUST tell you about this awesome giveaway/blog hop that is going on right now! It is to celebrate 1000 followers with Fifth in the Middle & Where the Wild Things Learn! How awesome is that accomplishment!? 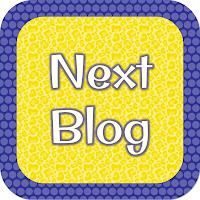 To start the blog hop, see the AMAZING PRIZES, and understand how to play along, head over to Diane's blog here! When it rains, it pours! Bless you for having such a horrible first day! It can only get better! 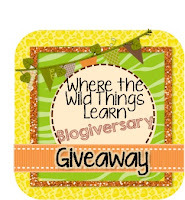 Thanks for being part of the Blog Hop! I hope this week goes better for you! I'm going to need to pull this book from my library and take a closer look at it. It sounds like a fabulous read aloud. Thanks for sharing! Munoz is such a wonderful writer! I had a former fifth grade girl that loved her... Thanks so much for sharing! I will pass your post on to a former fifth grade teaching partner! I haven't heard of this book, and it sounds like I need to!!! Thanks for sharing, friend! Thank you for all of your sweet words!! You're the best! You had quite a week! I'm so glad you didn't twist or break your ankle!!! And awwwwwwww about the camera!! I'm glad the daycare took photos!! 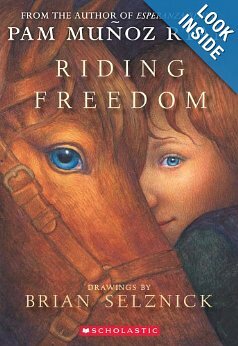 I have heard of Riding Freedom and almost picked it for a guided reading group but then I didn't. Darn! I should have! I'll remember for next time! This book looks wonderful! Going to grab it on my next "Amazon" run! That book looks great and your unit looks amazing!